The revamped Browns are back and are ready to make a statement in a highly contested AFC North. After a rough couple of years, Cleveland, led by a stout defense, is looking to make some noise within the division. Rivals, the Cincinnati Bengals and the Pittsburgh Steelers will look to stand in the Browns way. Grab your Cleveland Browns tickets and head down to FirstEnergy Stadium to help lead your team to victory and be a part of the "Dawg Pound". The 2016 NFL season was a disappointing one for the Browns. They failed to improve their 2015’s 3-14 record and finished with 1-15, which is the worst in the history of the franchise. In the 2017 season, things did not improve. The Browns ended the season 0-16; the second team in NFL history to go 0-16 after the 2008 Detroit Lions. The Browns are back for the 2018 season, looking to improve their record. They can only go up from here! Cleveland Browns may not enjoy a history of great draft picks, but they have had their days of glory. Some moments from their heydays are shared below. Cleveland Browns Dynasty (1946-1955) - When you talk about football dynasties the one name that comes to mind is New England Patriots with five Super Bowl wins. But there was a time when the Browns ruled the game. This was back in the 1940s and 1950s. With coach Paul Brown and quarterback Otto Graham, the Browns went on to play in ten consecutive championship games, winning seven of them. Four of these came from the AAFL but they were equally successful in the NFL. The Perfect 1948 Season - The 1948 season was the Browns’ third one in the All-America Football Conference. They had already won the AAFC crown in 1946 and 1947 under coach Paul Brown and continued their reign as champions in 1948, going undefeated in all their games (15-0). It was the year the Cleveland Browns’ game was televised for the first time. Various sports analysts claim different teams to be the main rivals of Cleveland Browns. But below are two teams whose rivalry with the Browns never ceases to fascinate the fans. Bengals-Browns Rivalry - Dubbed as The Battle of Ohio by the fans, the Cleveland Browns and Cincinnati Bengals rivalry has produced two of the eight highest scoring games in the history of the NFL. The two cities are only four hours apart and the teams share a bond owing to the legendary coach Paul Brown who has a special place in the history for both the Browns and the Bengals. Although the twenty first century has not seen too many wins for Cleveland Browns, the 2007 NFL Draft earned the side a great player in Joseph Hayden Thomas. He is the fourth player in the history of the league to make a Pro Bowl in his first ten seasons and the only Brown to achieve this feat. Jim Brown’s 1963 season is one that cannot be forgotten. Although he was not awarded an MVP, but his contributions and achievements spell bounded the league. He led the league in rushing yards for several seasons and by the time he retired he had broken major rushing records. In 2002, The Sporting News named Jim Brown the greatest professional football player ever. Located on the rejuvenated lakefront in downtown Cleveland, this 67,000 seat venue is adjacent to the Rock & Roll Hall of Fame and the Cleveland Science Center. FirstEnergy Stadium hosts a seating section with the nickname "Dawg Pound", a section of 10,644 bleacher seats where fans are regarded as some of the most passionate in football. If you are one of those fans, then make sure you have Cleveland Browns season tickets booked in advance. The itinerary is out and the upcoming games pit the Browns against a number of exciting opponents. So catch the action live! Our process for purchasing cheap Cleveland Browns tickets is simple and fast. There are so many online ticketing sites, that it can be hard for customers to find the right place to buy Cleveland Browns tickets at the cheapest price. At ScoreBig we think of our customers first and foremost. We offer daily deals for Cleveland Browns events, so our customers can get the best seats for the best prices. ScoreBig will always go above and beyond to offer the cheapest Cleveland Browns tickets on the market. The Cleveland Browns schedule above, displays all available events for 2019 and 2020. Once you find the event that you would like to go to, click the red “Get Tickets” button. It is located on the right-hand side of the event listing, it will take you to an Cleveland Browns event ticket page. ScoreBig's event ticket page will display all available Cleveland Browns tickets for that event. On the event ticket page to help with your search for the right Cleveland Browns tickets, use the filters at the top to select quantity, price range, and more. There is also an interactive seating chart so you can pick where you want to sit. When you are ready to buy a ticket, click on the listing, and you will be directed to ScoreBig's checkout page. Upon completion of the information fields, your order will be processed and your Cleveland Browns tickets will be delivered via email, mail, or to your mobile device. What makes ScoreBig’s site stand out from the rest? We are constantly analyzing our competitors to improve our site, service, and prices. ScoreBig.com employees strive to offer the best process and experience to buy cheap Cleveland Browns tickets. Our goal is to get you the best seats to Cleveland Browns events. We offer daily discounts on our site and for special promotions check out our newsletter. If there are no Cleveland Browns events currently available, you can use our search feature at the top of the page to see a list of all popular events going on near you. No matter your price point, we have all the best deals and discounts on Cleveland Browns tickets. For more information on prices of Cleveland Browns tickets and the schedule for Cleveland Browns, check out our listings above. The last thing you want to find out is when the Cleveland Browns event you wanted to go to is sold-out. Don’t worry in many cases ScoreBig has affordable tickets to sold out events. We sell tickets from GA all the way to premium seating and parking. Skip the scalpers in the parking lot and get your tickets online from top Cleveland Browns ticket brokers. We get you in all events, buy your Cleveland Browns tickets here from a brand that many trust and rely on for all their ticketing needs. ScoreBig offers a 100% money-back guarantee. If you have been in search of cheap tickets for Cleveland Browns, ScoreBig by far is the best option. That’s why ScoreBig has more loyal customers than any other ticketing site. 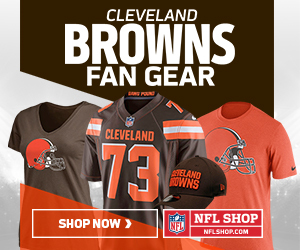 Shop at ScoreBig for safe and secure Cleveland Browns event tickets.